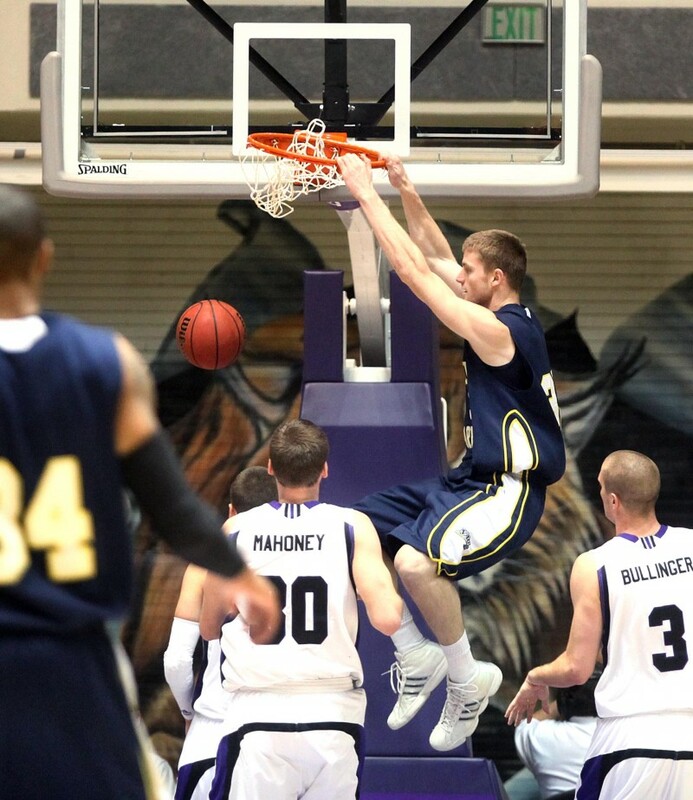 Big Sky Basketball: Where Will Northern Arizona Get Frontcourt Production? Where Will Northern Arizona Get Frontcourt Production? Back when we looked at how Northern Arizona would (try to) replace Cameron Jones, we looked at the backcourt. But perhaps the even bigger question that that is... where will they get frontcourt production? At 6'7'', Shane Johannsen was their best frontcourt player, as he was one of the most efficient players in the country. He had the best EFG% in the country, thanks to his ridiculously good 117/161 (72.7%) shooting from the field. Yes, that is correct... he shot 72.7% from the flooer. For his career he shot 69.5% from the field. That is not a typo. Oh yeah, Johannsen was also their best rebounder (22.2 DR%), and one of the best shot blockers in the country. He will be dearly missed. One guy that will be relied upon is Austin Smith, who was a solid performer in a fairly limited role last year (he only played 12.6 minutes per game). He was also an efficient scorer, shooting 61% from the field, and with 11.1% of ORebounds coming his way, he can generate some extra possessions for the Lumberjacks. If he can keep his efficiency up, and maybe pull down a few more defensive rebounds (13.8 DR% last year), he will be a factor for them. He will be a junior this season. There are a few other possibilities, but it's difficult to tell how playing time will shake out. Ephraim Ekanem will get a look after coming over from Irvine Valley College. He averaged about 8 points and 6 rebounds a game last year, but he is a big, bruising body, who could give Adras some minutes. Ryan Schaefer sat out last season after having knee surgery, but at 6'9'' he will get a look. And then Gaellen Bewernick was a redshirt last season, but he is a forward at 6'6''. He is in the mold of a lot of guys that have success at the college level... undersized, but has a knack for rebounding and is athletic enough to be difficult to defend. Mike Adras typically has some smaller teams, and that will be no different this season. After losing Shane Johannsen, there is a lot of uncertainty in the frontcourt. He has some options, but it is tough to say (other than Austin Smith) who will see the most playing time. Who do you guys see as getting the most minutes? Interesting, I wonder what the deal is... Smith looked like he would be a solid contributor for them, interesting to see him go.